Compensation for Florida Swimming Pool Accidents | Law Office of Andrew G. Rosenberg, P.A. Due to the climate in Florida, many Florida residents own swimming pools. And while a pool can provide a perfect place for fun, exercise, and leisure, it also comes with a great deal of responsibility. Having a pool means taking appropriate safety measures to keep family, friends, and other visitors from harm. 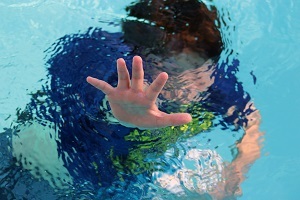 When the owner of a pool fails to safeguard the pool properly, he may be liable for any injuries that result. Young children are especially at risk for accidents at swimming pools. Florida leads the nation in child drowning accidents, and 2017 saw a 20 percent increase over the previous year in pool drowning deaths for children up to age 15. Improper or no fencing. Florida law requires private outdoor swimming pools to have a fence or other type of barrier around the pool with a self-closing gate that is protected from a child’s reach. Slip and fall accidents. If the conditions around the pool are not adequately maintained to prevent someone from slipping and getting hurt, the owner could be held responsible. Lack of supervision. A pool owner could be liable if he leaves young children unattended around the water. Poor maintenance. Without proper maintenance, people can get hurt. Chemical imbalances or contaminated water can cause serious illnesses, and unshielded filtration systems can trap a foot or a hand, leading to drowning or near-drowning accidents. Florida law typically protects property owners from trespassers, but there are certain exceptions when it comes to children. In the case of a swimming pool, it may be considered an “attractive nuisance,” and the property owner can be held responsible for a dangerous condition that causes harm to a child, even if that child did not enter the property with permission. The first 24 hours of care after a near-drowning accident are critical to survival, but the injuries suffered can still last a lifetime. It can take years of rehabilitation and therapy to regain even a portion of lost functionality. In children, the effects can result in developmental delays in learning, speech, and motor skills, as well as permanent mental or physical disability. Victims may also be able to receive damages for pain and suffering, mental anguish, and other difficulties caused by the injury. Talk to a personal injury attorney to determine your eligibility for these types of damages. At the Law Office of Andrew G. Rosenberg, our experienced legal team is here to help victims after serious pool accidents caused by carelessness, recklessness, or negligence, and we want to help you and your family start the recovery process. We serve the entire state of Florida, including the Broward, Miami-Dade, and Palm Beach County areas. Call us, or use our online contact form to arrange a free consultation about your legal situation, and find out how we may be of service.